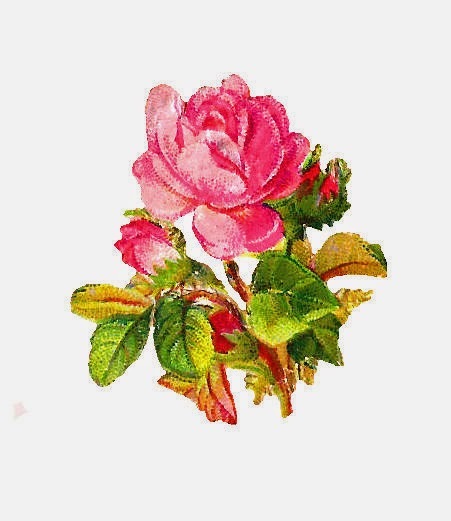 I recently came across four very similar pink rose die cuts in one of my Victorian scrapbooks, which I'm posting this week. This is another digital rose clip art from one of those lovely discoveries. I love the worn, distressed look of the digital scrap. The rustic charm would be a wonderful element in so many projects. 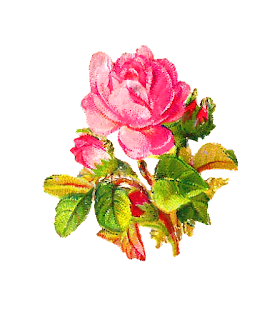 I've given you both the .jpg and .png files of this digital flower download. Enjoy!